The year was 1939 and Rev. 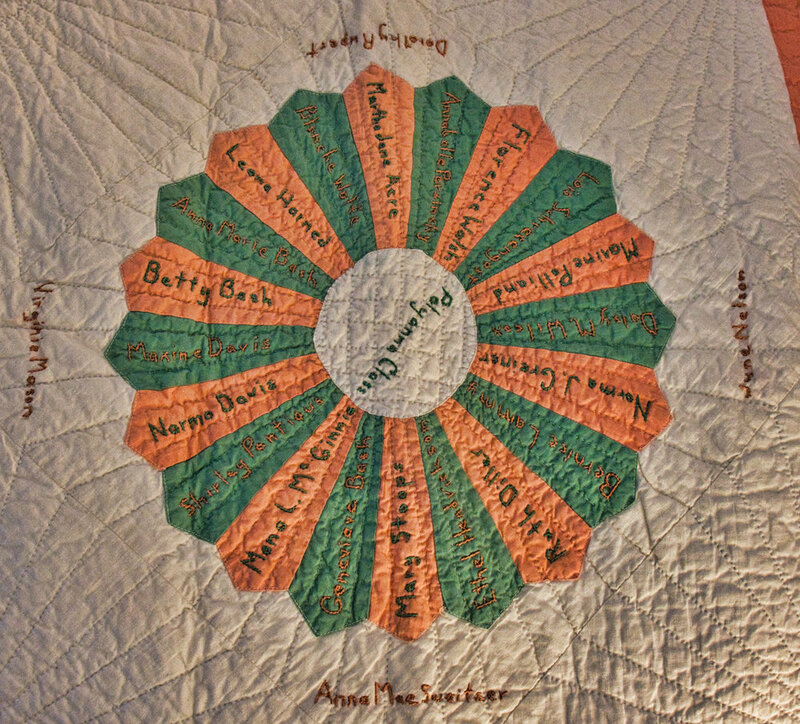 Jackson was being transferred from the Natrona Methodist Church in Western Pennsylvania to another parish. 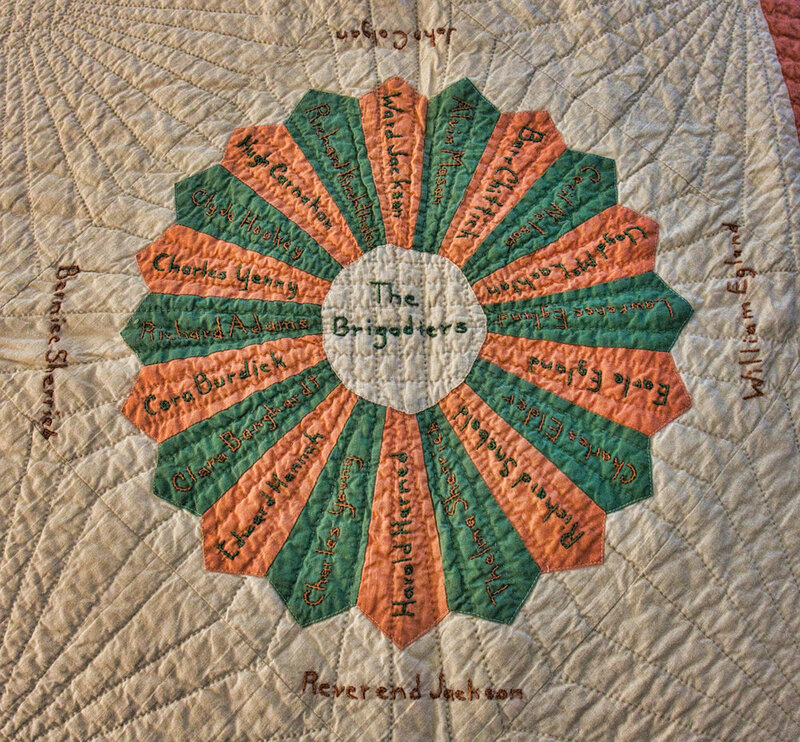 Someone in the congregation suggested that they make a “remembrance quilt” and send it with him. 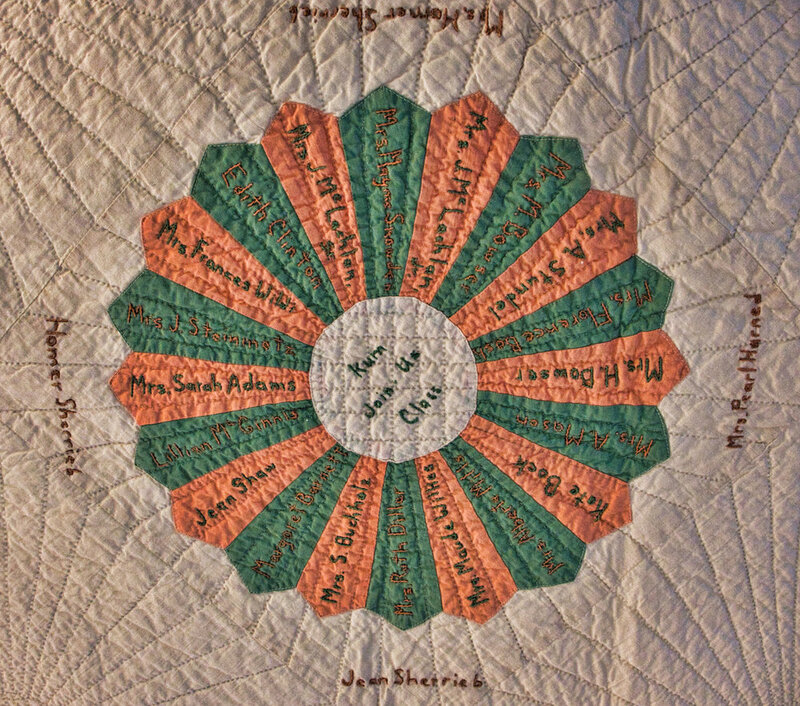 So they did with the names of all or most all of the congregation. The following year or perhaps the same year his second wife died. 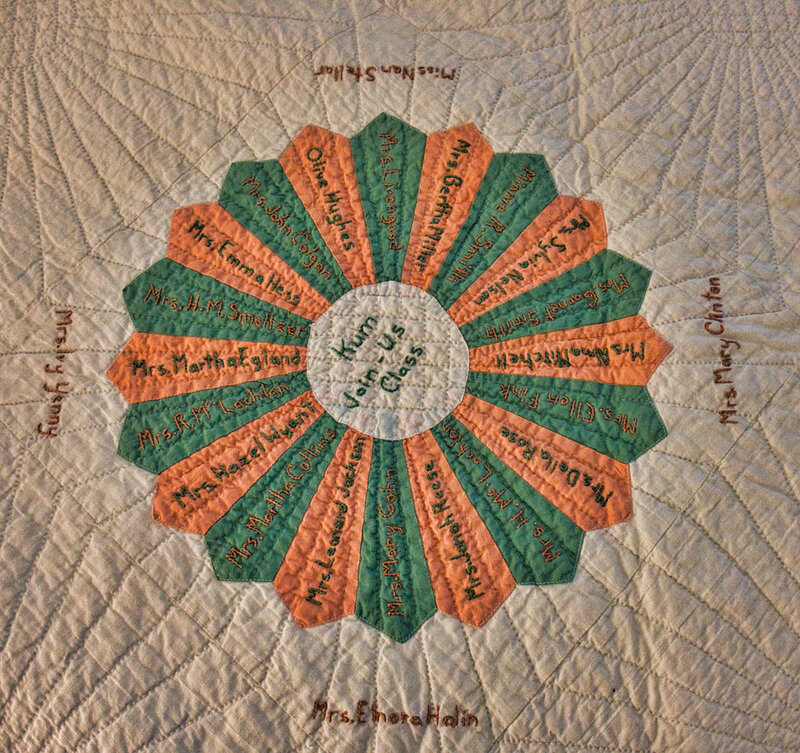 In late 1940 or early 1941 he returned to the area, specifically Birdville on the top of the hill from Natrona, to ask Jean Sherrieb to marry him. And she did. In 1950 Cindy was born. In 1958 both of her parents, Jean and Robert died of cancer only a few months apart and Cindy began to live with her Aunt Bernice Sherrieb or Aunt “B” to many people. 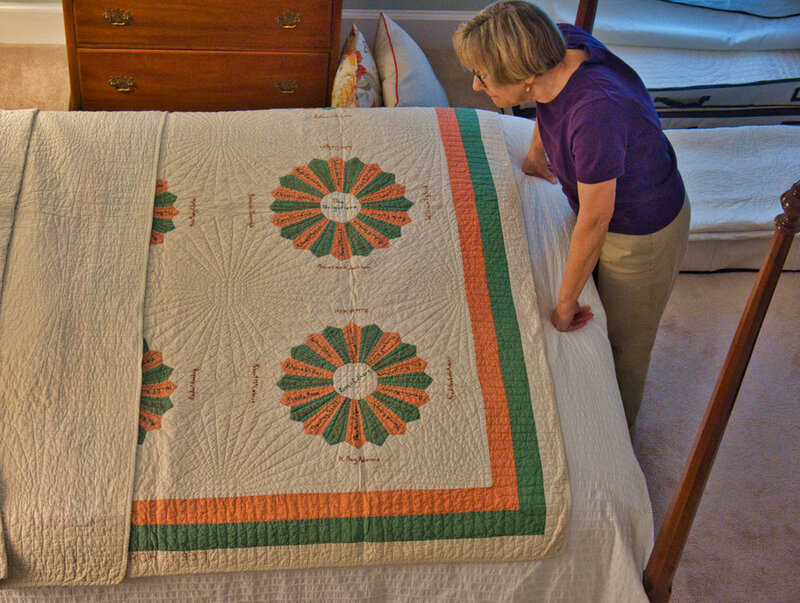 At some point Aunt B passed the quilt on to Cindy as a part of the things she had kept for her. 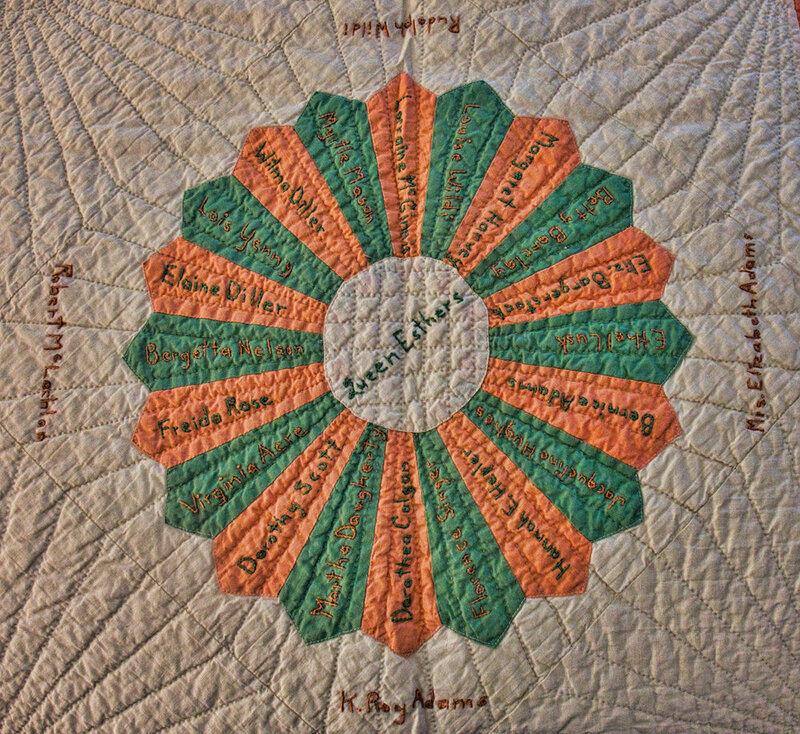 As Natrona Methodist Church is where Cindy attended from 8 years old through college the people named on the quilt were well known to her and many of her family members have their names embroidered on the quilt, including her great-grandmother, grandfather, grandmother, mom, two half brothers, her Aunt B and more. 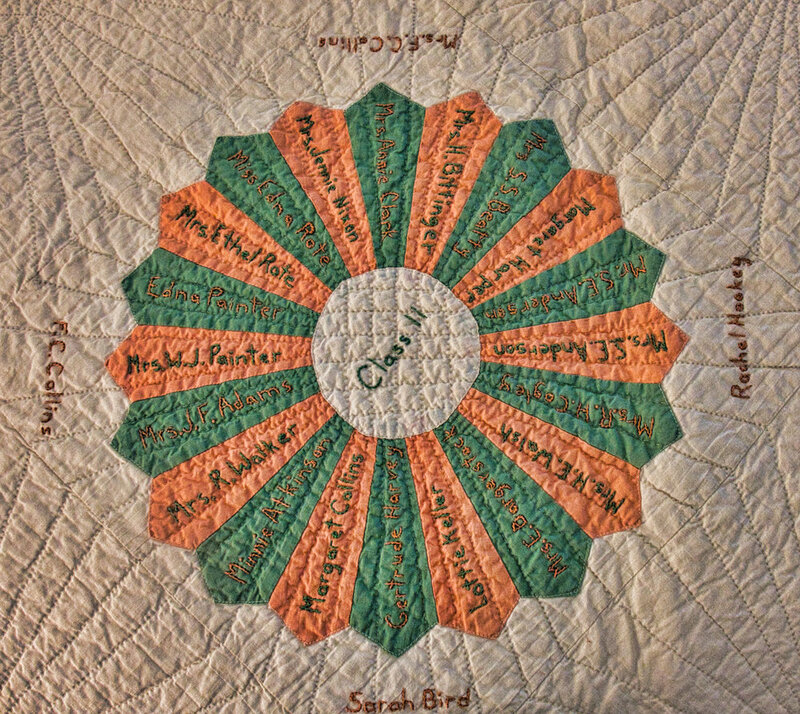 It turns out that I have a cousin or two on the quilt and my Aunt Goldie as well. Maybe more we are still exploring. 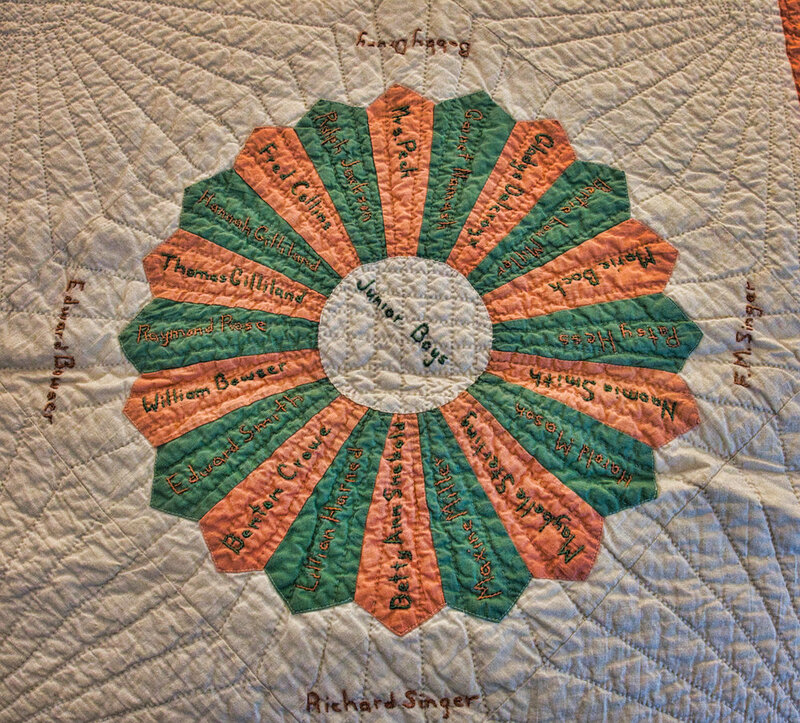 There are nine close-ups of the quilt circles with names in each pie sliced shape, the class name in the middle and the class teachers and officers around the outer edge. See who you can find or might know. Her mom, Jean Sherrieb and grandmother and grandfather are here. My Aunt Goldie is also here, M Bowser. My cousin, Mona McGinnis is here. I hardly knew her. Ralph Jackson, one of Cindy’s half-brothers but we never knew him. 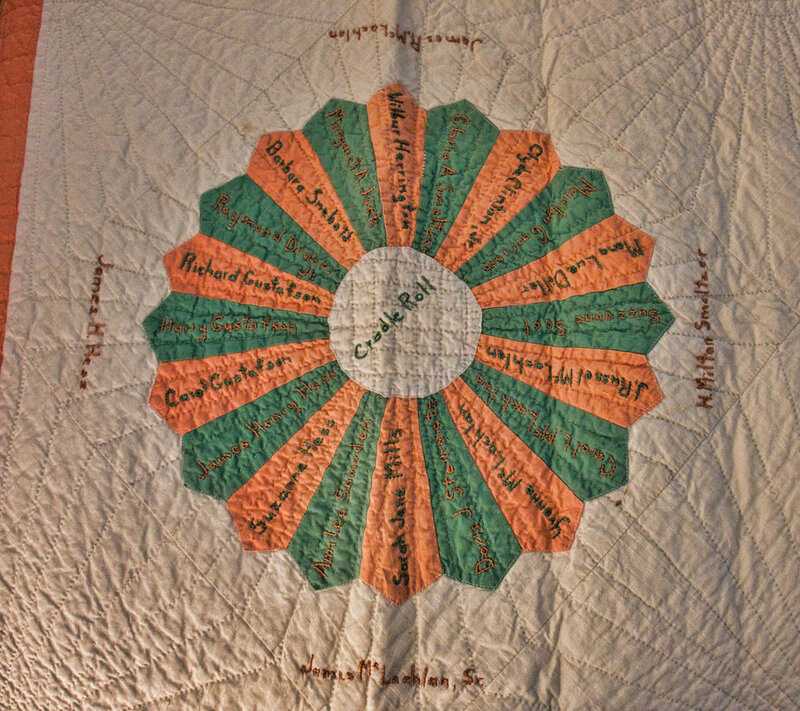 Martha Collins is a lady who was a great friend of Aunt B. C and I helped move her one time and Aunt B lived with her briefly. This is the class Aunt B and Rev. Jackson taught. It included Ward Jackson, Cindy’s other brother and we knew them well. He and his wife Bonnie were very special people and greatly missed. Sarah Bird, CJH’s great-grandmother it was her husband that organized Birdville.